Steaming badly: what do we know about hazardous and less known hydrothermal eruptions in volcanic environments? 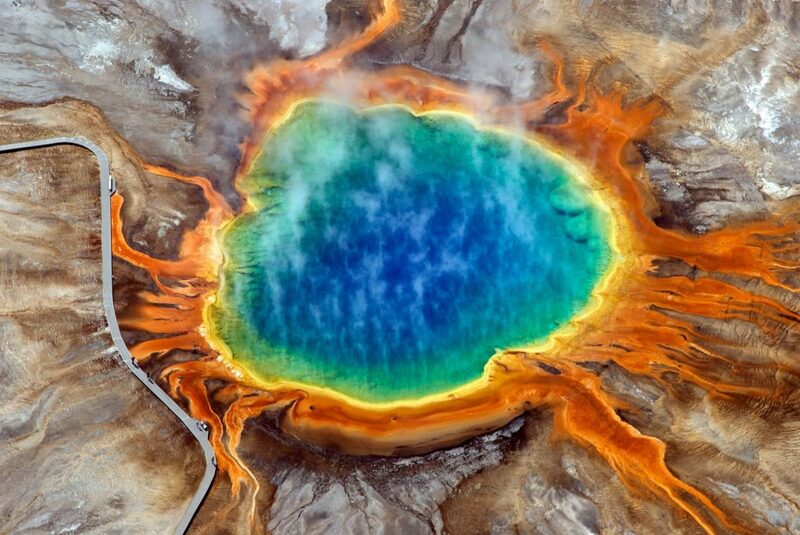 Volcanic eruptions are among the fascinating natural phenomena we can observe on Earth. Along with being very attractive, they are hazardous for both society and infrastructures. Eruptive styles are various and today we focus our attention on one particular type of explosive event: hydrothermal eruptions. We have interviewed Cristian Montanaro on the topic. Multi-Natural-Hazards: how can we deal with such complex chain of events? Today we have the honor to have Prof. Victor Jetten as our guest. Throughout his career Victor, has been working in modelling of natural hazard and land degradation processes. Starting with biomass and grazing capacity, the effects of logging on the natural rain forest water balance, he then moved to soil erosion and land degradation processes as a result of land use change and overgrazing. He believes that all these processes should not be studied and modeled as separate disciplines but in a much more holistic way. In the context of Natural Disasters stakeholders are confronted with chains of multiple hazards: such an earthquake leading to landslides leading to blockage of river systems leading to flash floods (such as happened in Wenchuan in 2008 and Nepal in 2016). Each subsequent extreme rainfall triggers landslides and extreme erosion, forging possibly more change in these areas than several decades of climate change, and wiping out years of development. Victor thinks science has to be useful for society and his aim is to provide timely and actionable spatial information in disaster preparedness, prevention and response. 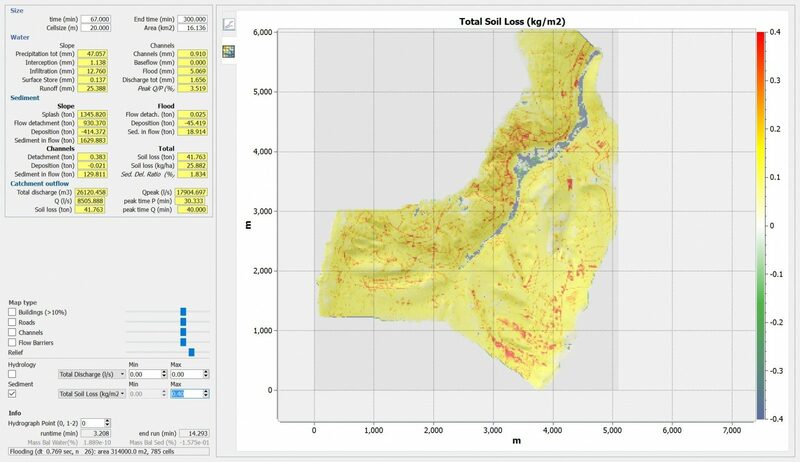 To this end he develops together with PhD researchers the opensource model openLISEM, that is able to simulate runoff, river discharge, floods, erosion and deposition and debris flows, in an integrated and spatially detailed way. Today we are going to talk about multi-hydromorphic-hazards. Victor, what can you tell us about it? We have moved from theory and models to understand processes in nature to the application of that knowledge in a hazards context (as a result of triggers such as extreme weather events or earthquakes). The probability of that event was added, to serve stakeholders better. But things become complicated very rapidly: we almost never know the probability of the event itself, so we exchanged that for the probability of the driving process, which is not the same. Hazards happen at the same time or as a chain of events: the 2008 earthquake in Wenchuan had direct earthquake damage, triggered over 100000 landslides, hundreds of which dammed rivers that potentially led to flash floods. Flash floods are triggered after an el Nino year because the sparse vegetation led to overgrazing. This complexity gives us problems: we have different models for different processes made by separate groups of scientists: geomorphologists look at landslides, hydrologists at flooding (but not so much at sediment in floods and where sediment comes from), erosion is the domain of soil scientists and agriculture (but floods are far downstream), meteorologists focus on the weather part of hazards. This is perfectly natural as each of these are sciences in itself. But now you live on a Caribbean island and are hit by a hurricane. Your house is subject to sea surges, wind damage, flash floods and landslides. These effects are aggravated because of a lack of landscape management that gradually filled up the river channels with sediment. Who will help you? An army of scientists that each speak their own language! And of course the solutions are in spatial planning and governance, which are again separate sciences. What is coming at the next EGU’s General Assembly? The next EGU’s General Assembly is taking place in three weeks! We bet you already started planning your program for the week, and that Natural Hazard (NH) sessions are included, and, especially if you are an Early Career Scientist, you have found many sessions and courses targeting your specific needs and interests. What fits more to your interests: Attend talks and posters, learn and improve skills, or take an active role in a serious game? Or maybe all of them? To get to the point, the Natural hazards Early Career scientist Team (NhET) is organizing five activities during the General Assembly that you can find in the NH division program. Let’s have a look at them! To start with, there will be a session about “Communicating and Managing Natural Risks” (1) on Monday. The aim of this session is to promote studies that improve communication and actions for the mitigation of natural risks, using different methods and tools. The session includes both oral and poster presentations. During the poster session, you will also have the possibility to meet the people currently and actively involved in NhET and get more information about ongoing and future activities! Last year, we expanded the network with many young scientists of various disciplines. This is another reason why we invite you to attend this session and get the chance to be part of this growing network of young scientists! On the same day, there will be a special event where you can get in touch with people sharing common interests. We organize a “Research Speed Dating” (2) where you can meet other Early Career Scientists with similar interests and share ideas together through 3-10 min speed-dates. If you are interested in participating, we ask you to register at the following link https://goo.gl/forms/L7kDytQdMv7a18aM2; your registration will greatly help us to organize and better match you and your ‘dates’. Take part in this event, and even if you forget to register: you are more than welcome to stop by! An interesting course will be held on Wednesday: during the time of the session, you can play an active role as a member of the society in a real case scenario of natural hazard, either as a scientist, a member of the population, the local authority or member of the media. This is the “Serious Games for Natural Hazard” (3). If you would like to attend this game, help us to organize it better by registering at the following link https://goo.gl/forms/Ou0HFxM19rB7MFGZ2. Anyway, the game is open to everyone who wants to attend and all of you are welcome! Remember that the conference last until Friday, and we have interesting activities to convince you remaining at the conference until the very last minute. That day, there will be a workshop about “Open-Source software for simulating stability of slopes” (4) where you can get insights into the use of the open source software OpenLISEM Multi-Hazard model for landslide simulations through a practical demonstration. The software is user-friendly, available for Windows and Linux, and you can download it at the following link https://sourceforge.net/projects/lisem. Also, several test datasets will be made free for download before the workshop (https://drive.google.com/open?id=0BwWPZu9zWW2ReUJ6UUl3UVctWnM). Just bring your motivation… and the software downloaded if possible! Finally, but not less important, there will be a PICO session about an emerging topic: the “Hazard effects of climate change on agriculture and forested zones” (5). Here the focus is on the use of remote sensing and modelling for monitoring and evaluating the risks for society and environment in climate-related hazard events. We encourage you to participate, especially because it is an important contemporary topic with high impact on our society and this session can help better understanding the current state of the art on the topic. As you can see, the activities are varied and we hope we have moved your interest and curiosity to attend one, some or all of them. We are looking forward to seeing you and meeting you at these events! (1) Methods and Tools for Natural Risk Management and Communications – Innovative ways of delivering information to end users and sharing data among the scientific community – Session NH9.12/AS5.17/CL5.30/ESSI1.9/GI0.4/GMPV6.12/HS11.44/SM3.15/SSS13.66 – Convener: Raffaele Albano | Co-Conveners: Valeria Cigala, Jonathan Rizzi. Monday, 09 Apr, 13:30-15:00 / Room L8 (Orals) and 17:30-19:00 / Hall X1 (Posters). (2) Speed-dating: Research-match making – Session SC3.19/NH10.3 – Convener: Giulia Roder | Co-Conveners: Raffaele Albano, Luigi Lombardo, Jonathan Rizzi. Monday, 09 Apr, 15:30-17:00 / Room -2.31. (3) Serious games for Natural Hazards: understand the different roles in natural hazard prevention and management through a simple exercise – Session SC2.18/NH10.2 – Convener: Valeria Cigala | Co-Conveners: Raffaele Albano, Graziella Devoli, Jonathan Rizzi, Giulia Roder. Wednesday, 11 Apr, 10:30-12:00 / Room -2.91. (4) Open-Source simulations: slope stability and failure in a hydrological catchment model – Session SC1.30/NH10.1 – Convener: Luigi Lombardo | Co-Conveners: Raffaele Albano, Victor Jetten, Cees van Westen, Bastian van den Bout. Friday, 13 Apr, 10:30-12:00 / Room -2.85. (5) Hazard and risk assessment of climate related impacts on Agricultural and Forested Ecosystems using Remote Sensing and modelling – Session NH6.7/GI2.23/SSS13.57 – Convener: Jonathan Rizzi | Co-Conveners: Mahesh Rao, Luigi Lombardo, Andy Nelson, Dennis Corwin. Friday, 13 Apr, 13:30-15:00 / PICO spot 4.
International Research Projects: what can we learn from CHANGES? Today I have the pleasure to post an interview on International Research Projects. 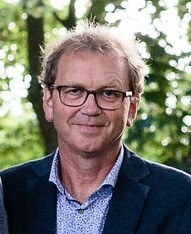 The interviewee, Dr. Cees van Westen, does not need any introduction for those who work in the field on Natural Hazards. 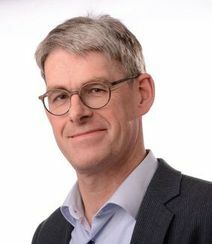 Today, he will “speak” as the coordinator of the CHANGES project and further information can be asked directly to him if this interview will stimulate your curiosity (e-mail: c.j.vanwesten@utwente.nl, tel: +31534874263). The name CHANGES stands for “Changing Hydro-meteorological Risks – as Analyzed by a New Generation of European Scientists”. This EU Marie Curie Initial Training Network project, which was running from 2011 to 2015, aimed to develop an advanced understanding of how global changes (related to environmental and climate change as well as socio-economical change) will affect the temporal and spatial patterns of hydro-meteorological hazards and associated risks in Europe; how these changes can be assessed, modelled, and incorporated in sustainable risk management strategies, focusing on spatial planning, emergency preparedness and risk communication. 2. What are the complexities in coordinating such an international project? First of all the development of a good international consortium is a major challenge. The consortium had to consist of partners from academic and private sector, and should cover certain strategic regions in Europe. The network was very international, and consisted of 11 full partners from the Netherlands, Germany, France, Switzerland, Austria, Poland, Romania and Italy and 6 associate partners of which 5 private companies, from the UK, Spain, Netherlands, Germany, and Italy. The next complicating aspect, after the project was awarded, was to find suitable candidates that fulfilled the criteria established by the MSCA programme. Eventually the network employed a total of 17 young researchers, of which 13 were female and 4 male. They came from all over the world: New Zealand, Germany, Belgium, Slovenia, Romania, Netherlands, Italy, Myanmar, Colombia, USA, Switzerland, Macedonia, China, Iran, Moldova and Argentina. Twelve young researchers were hired for a period of 36 months, and carried out PhD research, whereas the other five were hired for 18 months and worked on the development of a web-based spatial decision support system for the analysis of changing risk. All young researchers have spent a considerable amount of time with other partners in secondments. The large mobility of the project made it very complex to handle. The young researchers stayed generally with at least two partners for a period of time. Some of the partners were not Universities and for them also other academic partners were involved where the actual PhD defence took place. The contracts with the young researchers was for a period of 3 years, whereas in most of the cases the PhD takes more time, so it was also complex to find follow-up contracts so that all could complete their PhD, which they almost all did. Another complicating issue was the active stakeholders’ participation which required the involvement of organisations that were not partners, and who’s involvement could not be easily controlled. 3. I assume it is difficult to foresee the results of such a complex project when you first apply for a grant. Do you think you have reached the expectations you envisioned when you first applied for CHANGES? If yes, what are the main goals the project has reached in your view? If no, how could have it been improved? Yes, this was indeed difficult to foresee in terms of the scientific results, but more easily in terms of the expected project results: helping young researchers to develop the right skills in order to become experienced researchers. As the funding in this project all went to the young researchers, and not to the salaries of the existing scientific staff, the scientific results were also obtained through the work of the young researchers. The scientific focus of the project was on a number of topics organized in five themes (work packages). The first objective was to analyse the changes in hydro-meteorological hazards that are expected as a result of environmental changes. Regional and local scale probabilistic hazard assessments for floods, landslides and debris flows were developed for four case study sites (Barcelonnette / Ubaye Valley in France; Buzau County in Romania; Fella River in Italy; and Wieprzówka catchment in Poland). The second objective was to evaluate environmental changes, triggered by global change (including climate change) and interacting with economic development, leading to changes in exposed elements at risk. The third objective was to integrate the techniques for hazard assessment with the results of the exposure and vulnerability analysis, into a platform for Quantitative Risk Assessment (QRA) using multi-hazard risk assessment techniques. The fourth objective focused sustainable risk management strategies, related to spatial planning and emergency preparedness, response and rescue activities. The outcomes were used for risk communication purposes, achieved by designing specific risk visualization and communication tools, aimed at local authorities, planning agencies, civil protection organizations, and also with a component directed to the general public. Most of the objectives that were stated in the proposal were addressed in the PhD research of the young researchers. One of the main challenges in this project was that some researchers were highly depending on the outcomes of others, and as all started at the same time, this caused difficulties for some that were further in the risk assessment and management chain. 4. 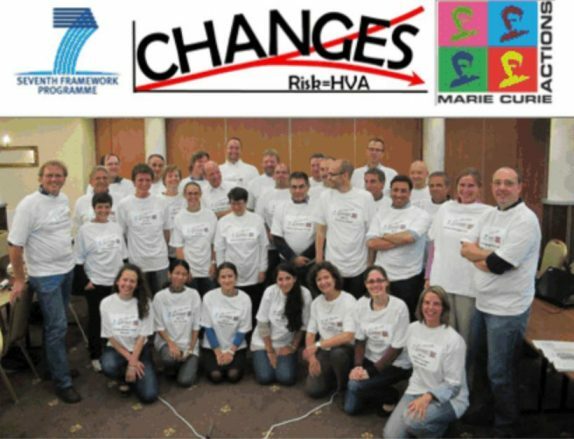 CHANGES is clearly a rare if not unique project as it involved collaboration, coordination and focus across many different institutions and topics. How does this impact the development of a young researcher? As the aim of the programme was to support the scientific development of young researchers, the network organized a large series of training events in which also participants from outside of the network were invited. This resulted in a total of 6 professional skill courses, 6 technical skills courses and 5 topical workshops. The project partners and young researchers actively collaborated with other Universities, research projects, NGOs and international organisations. Scientific output of the project was in the form of peer reviewed journal articles and numerous conference papers and abstracts. One of the main outputs of the project was the development of an internet-based Spatial Decision Support System called RiskChanges with the aim to analyse the effect of risk reduction planning alternatives and possible future scenarios related to climate change and landuse changes on reducing the risk now and in the future, and support decision makers in selecting the best alternatives. The project partners and young researchers actively collaborated with other Universities, research projects, NGOs and international organisations. The results of the project were all made available through the project website (http://www.changes-itn.eu/). At the end of the project the International Conference on the Analysis and Management of Changing Risk for Natural Hazards was organized to present and discuss research results in the above mentioned fields. The conference was held on 18 and 19 November, in Padua, Italy. 5. How frequent are this type of projects? Are you planning for applying for something similar in the near future? Such large EU networks are certainly not frequent, but are also not impossible to obtain. The competition for such projects is very large though. We were told that there is less than 2% change for such a proposal to get funded. This is also due to the fact that there are no specific thematic call. It is possible to submit a proposal on many different topics, but the selection procedure is very tough. The programme is now called Marie Skłodowska-Curie Innovative Training Networks. It has regular calls, generally once a year. The proposed research training or doctoral programme should respond to well-identified multi- and interdisciplinary needs in scientific and technological research areas, expose the researcher to different sectors, and offer a comprehensive set of transferable skills (such as entrepreneurship and communication). The private sector involvement has to be very significant. Before the CHANGES project most of the partners were also collaborating within a previous network, called Mountain Risk, which was coordinated by Jean-Philippe Malet of the University of Strasbourg. After the Changes project we also tried to get a follow-up project with another partner taken the lead, but this was not funded. I am personally not considering to submit a new proposal in the coming years, as it is a lot of work to coordinate it.